There are two camps when it comes to sushi. People love sushi or hate sushi; there is seldom a line in the middle. For those who can think of nothing they would rather have on a weekend night out with friends, we’re going to fill you in on different types of sushi and where to find some of the best sushi restaurants in Summerlin. The good news is that all of these restaurants serve more than just sushi, so you can take your non-sushi eating friends along. Quite a few people confuse sushi with sashimi. Sashimi is made with raw seafood, shredded white radish, and a shiso leaf. Sushi is made with vinegared rice. Sushi may include raw or cooked seafood, meat, vegetables, and other food items. Knowing the difference between sushi and sashimi is important when ordering in your favorite restaurant. There are too many sushi types to include here, but we will give you the basics that will help you make a more informed decision before you place your next sushi order. 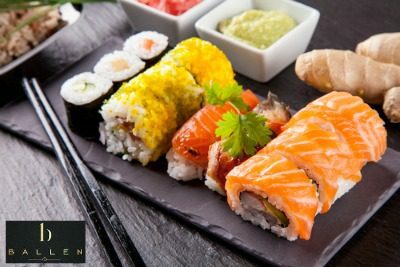 Keep in mind that many restaurants will allow you to personalize your sushi experience by adding or taking away ingredients. Nigiri sushi is made with a small ball of rice that is hand shaped. The rice is topped with ingredients such as wasabi and slices of seafood or meat. Common types of seafood used in making Nigiri sushi include tuna, eel, salmon, and shrimp. This is a popular type of sushi that most people recognize. Maki sushi is recognized by its roll shape. Most restaurants slice the roll into pieces that are easily eaten. This type of sushi is made using ingredients such as soy paper, thin pieces of cucumber, and seaweed. Ingredients used to fill the sushi roll are varied and may include seafood, vegetables, and meat. There are five distinct types of Maki sushi. Futomaki is wrapped inside nori seaweed and includes four or more ingredients. This is a large roll. Uramaki has the nori seaweed and other ingredients inside the rice roll. This is a very popular type of sushi and is often preferred due to its neat appearance. Hosomaki is thin and made with one ingredient aside from the nori and rice. These are made with small pieces of salmon, tuna, or cucumber. Temaki is easily recognized because of the cone shape of the nori. The rice and other ingredients are placed inside the cone. Chumaki contains two or three ingredients along with the rice and nori. This is a medium sized sushi roll. Inari shushi is made my deep frying thin slices of tofu and filling them with sushi rice. While people who stand by tradition will only eat this with the rice filling, some people prefer to add vegetables. Oshi sushi is made inside a wooden mold and then pressed together to create a firm sushi. The ingredients are lined on the bottom on the box. The sushi rice is placed on top of the ingredients. The sushi is cut before serving and is recognized by the square or rectangle shapes. 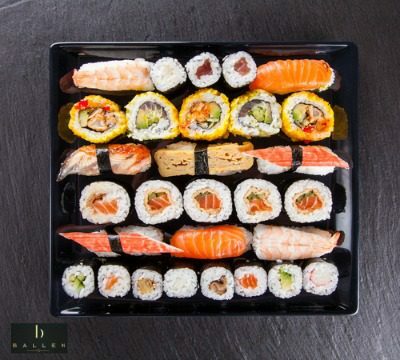 Many people consider this sushi to be the most beautiful. Fusion sushi is not a traditional type of sushi. Rather than a type of sushi, Fusion is more of a style. The creation of this sushi pairs interesting and unusual ingredients. Ingredients used in this style include avocado, cream cheese, mango, duck liver, and crab meat. While some restaurants remain true to authentic sushi, it’s becoming more common to find Fusion styles. 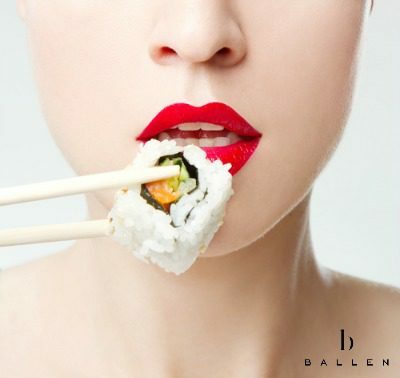 Now that we have your taste buds prepared for a sushi extravaganza, you’re going to need a place to go. Here are some of the sushi restaurants that were recommended to us in the Las Vegas and Summerlin area. Sushi Loca is located at 10965 Lavender Hills Drive, #160, in Las Vegas, NV. This address is in the 89135 zip code area. They can be reached by phone at 702-432-5622. This Downtown Summerlin location is open on Sunday – Thursday from 11:00 AM – 11 PM. The last call for orders on these nights is 10:30 PM. They are open Friday and Saturday from 11 AM – Midnight. The last call for orders on these nights is 11:30 PM. The sushi chefs at Sushi Loca serve up traditional sushi and sashimi alongside their own creative menu items. In fact, if there is a sushi that you’ve been dreaming up, they can bring your sushi dreams to life. The chefs are entertaining and the staff is friendly. 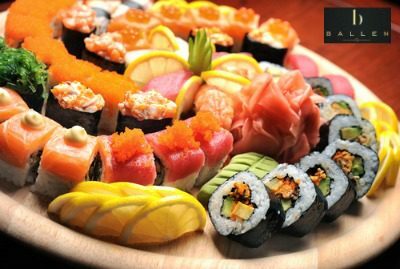 Popular ingredients used in their sushi and sashimi include tuna, salmon, halibut, shrimp, octopus, sea urchin egg, quail egg, and clam. If you want to enjoy sushi along with your non-sushi eating friends and family, they do offer other dishes that include Chicken Katsu, Chicken Teriyaki, Beef Sukiyaki, and Vegetable Hibachi. CRAVE American Kitchen & Sushi Bar is located at 10970 Rosemary Park Drive, Suite 160 in Las Vegas, NV. This address is in the 89135 zip code area. 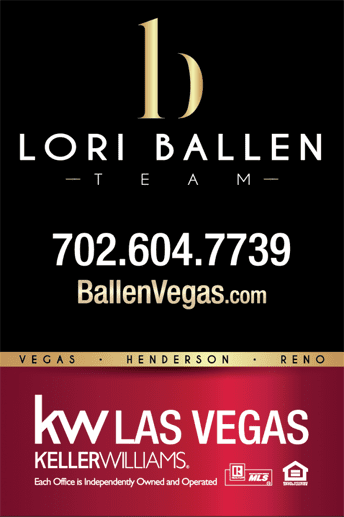 They can be reached by phone at 702-878-5505. This location is open on Sunday – Thursday from 11 AM – 10 PM and Friday and Saturday from 11 AM – 11 PM. They have a happy hour on Sunday – Saturday from 3 PM – 6 PM and Sunday – Thursday from 9 PM – 10 PM. They do accept reservations, and these reservations can be made via their website. CRAVE offers a sophisticated and lively atmosphere for their patrons. They locally source their ingredients when it’s possible, and they are dedicated to making sure they serve only the highest quality foods. Their sushi offerings include traditional sushi types and sashimi. Ingredients include snow crab, scallops, tuna, salmon, sea bass, and octopus. They have a selection of vegetarian sushi rolls, as well. The sushi offerings get interesting with rolls such as the Godzilla made with spicy tuna and the Aloha that includes mango. Kabuki Japanese Restaurant is located at 400 S. Rampart Blvd. in Las Vegas, NV. This address is in the 89145 zip code area. They can be reached by phone at 702-685-7776. This location is open Sunday – Thursday from 11 AM – 10 PM and Friday – Saturday from 11 AM – 10:30 PM. They do accept reservations. Kabuki Japanese Restaurant blends a modern environment with traditional Japanese dishes. The use of minimal artwork makes this the perfect place to host a business meeting or spend time with family and friends. They have a full menu that includes everything from appetizers to desserts. Their sushi and sashimi ingredients include shrimp, egg, sea eel, sea urchin, king crab, tuna, bean curd, halibut, and salmon. 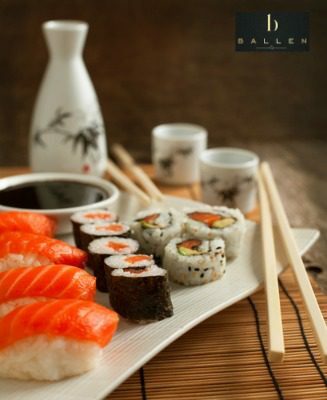 Rolls include Octopus Roll, California Roll, Philadelphia Roll, Salmon Roll, and Tofu Roll. They offer several vegetarian options. Specialty rolls include their Paradise Roll with mango and Japanese mint leaf. Sushi is the perfect meal for lunch or dinner, and we hope you’ll visit these recommended Summerlin sushi restaurants.